With equity indexes closing significantly lower, the VIX battled upward, settling +6.0% @ 18.94. Near term outlook offers threat of sp'2025/20 zone, that would likely equate to VIX 20.00/20.50. Equities look broadly set for renewed upside into the 2100s, and that would see the VIX cooling to the low teens by year end. It would seem the market wants to fill the equity price gap of sp'2025/21.. along with VIX 20.00/20.50.. this Friday morning. 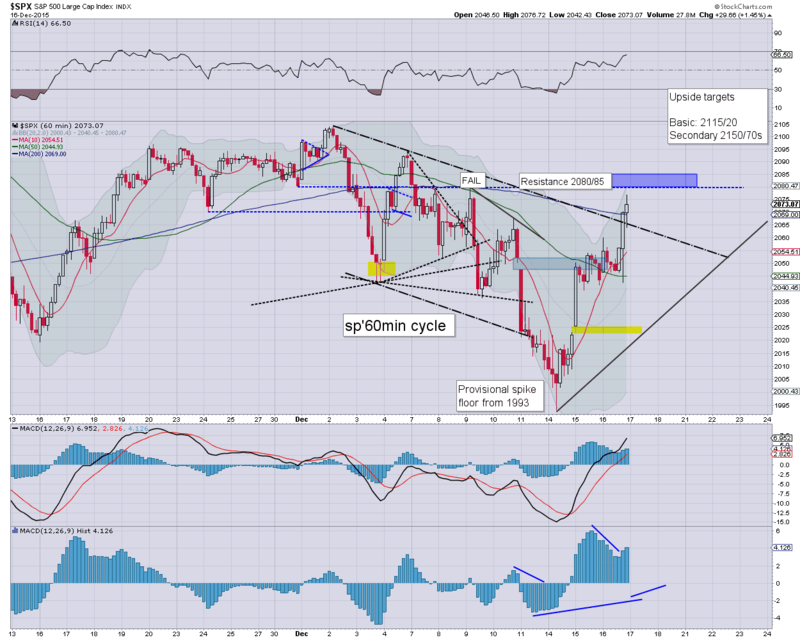 From there, equities should resume higher and break/hold the sp'2100s. 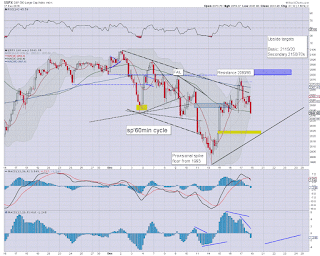 US equities closed significantly lower, sp -31pts at 2041. The two leaders - Trans/R2K, settled lower by -2.0% and -1.2% respectively. 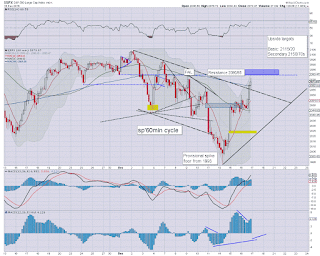 Near term outlook offers threat of the sp'2025/20 zone, before surging back into the 2100s by Christmas Eve. *closing hour action: a lot of chop.. but breaking a new intraday low in the closing minutes. 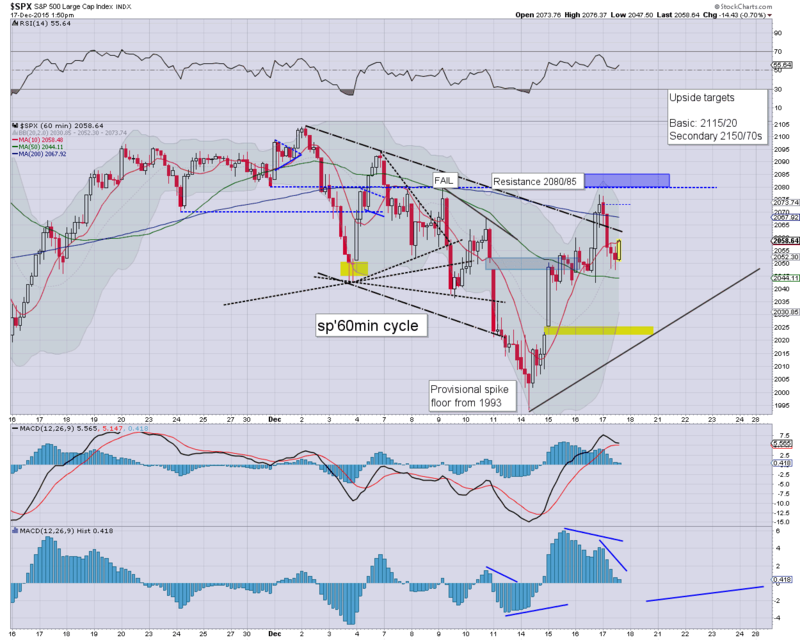 With the lower hourly bollinger around 2038/37, the lower gap zone of 2025/21 is within range tomorrow morning. Maybe its just me, but it sure doesn't feel like we're currently net higher on the week by around 1.5%. A week ago.... some were calling for a QUAD-OPEX crash to the 1900s.. or even 1800s... we're almost certainly not going under 2K again for the remainder of the year. US equities are still struggling, with the sp'500 unable to claw back above the hourly 10MA - around 2057/59. 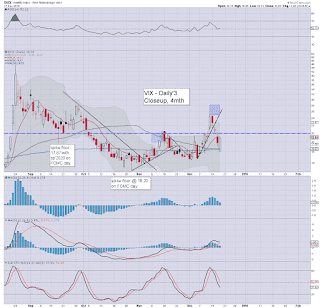 It is highly notable that despite the ongoing weakness, the VIX remains broadly flat. With the USD holding strong gains of 1.4%, metals and oil remain significantly lower. There remains threat the Tuesday opening gap of 2025/21 zone will be briefly hit.. before the equity bulls can resume higher. What should be absolutely clear... sustained price action under the Monday low of 1993 looks extremely unlikely. 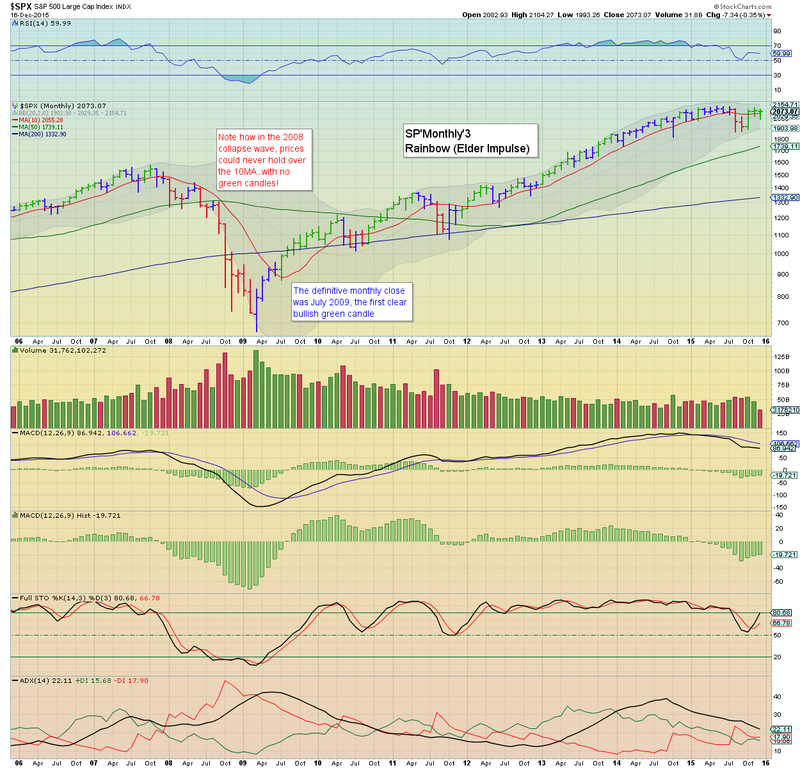 Instead.. we still look set for the 2100s. The only real issue is whether we break new historic highs before year end. With just 9 full trading days left of the year... its getting a little difficult. 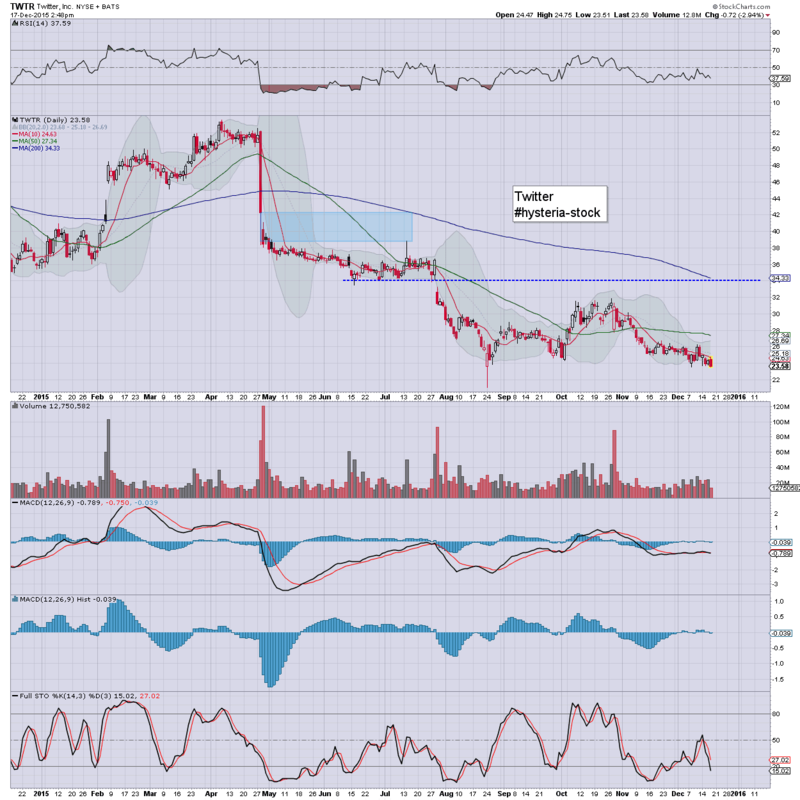 TWTR sure is the ugliest momo stock out there. Hell, maybe it doesn't even merit being deemed a momo stock any more. The IPO was at $26, and we're consistently trading under that... next level is the Aug' historic low of $21.01. Price action remains a bit of a mess.. as the market is still settling into the notion that rates are no longer zero. 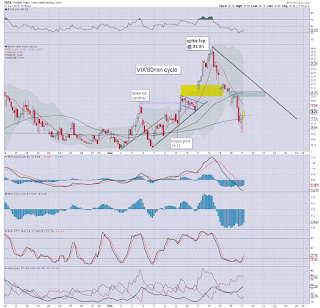 There is a viable floor of sp'2047 - with VIX 19.05. USD is holding powerful gains of 1.4% in the DXY 99.20s. Metals remain very weak, Gold -$22, with Silver -3.0%. Oil -2.0% in the $36s. Outlook offers threat of 2025/20 early tomorrow. 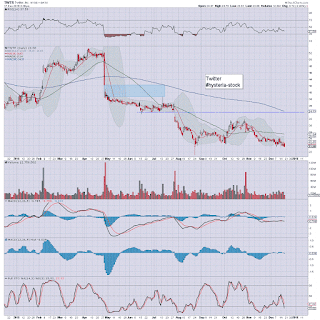 If that was hit... we'd still likely close considerably higher in the 2040/50 zone.. for quad-opex settlement reasons. Broadly though... despite this mornings stronger than expected retrace... nothing has changed. Who wants to short Santa? Or worse.. how about Jedi ? 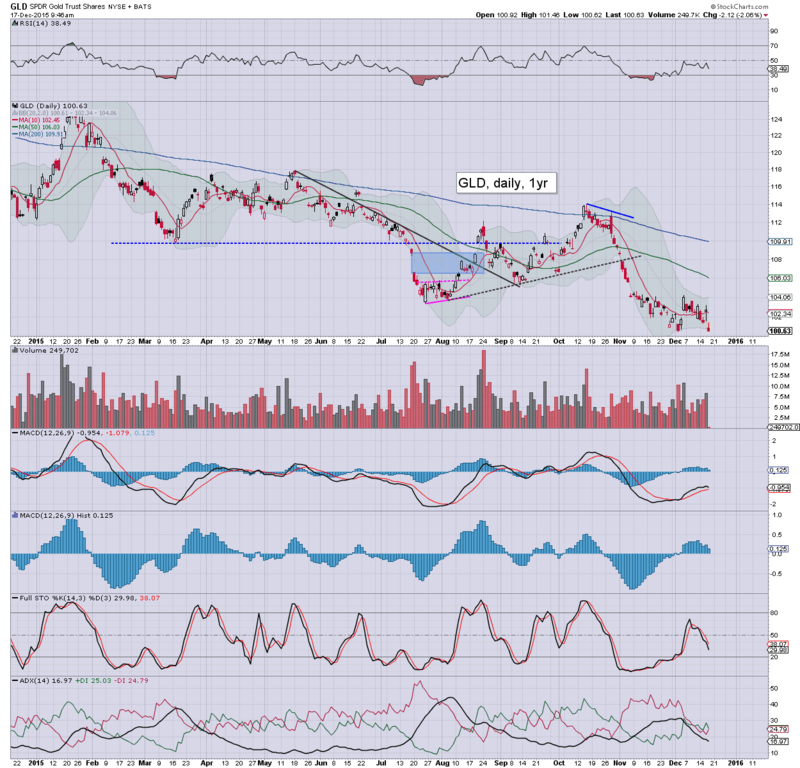 notable weakness, miners, GDX -5.4%... as Gold remains headed for the giant $1000 threshold. 1pm update - is this the touted apocalypse? Since last week, an increasing number of people have been loudly touting across a great many websites, a 'quad-opex crash'. 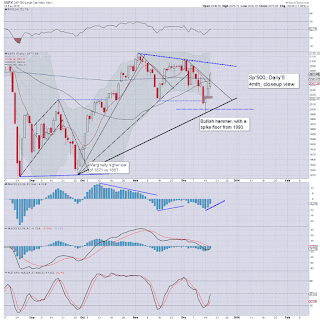 No doubt, with the current declines, some are getting their hopes up for a Friday collapse. 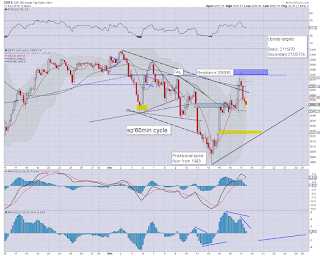 At best, the original downside gap zone of 2025/20 is best bearish case.. but even that looks difficult. Its getting real tiresome... not just as the mainstream are getting laughably twitchy, but as many seem to have no perspective that Monday saw a key low of sp'1993. Does anyone seriously think that low will be broken any time soon? Santa is getting ready... and with the rate uncertainty out of the way... the door is wide open to much higher levels. notable weakness.. miners, GDX -5.5%.... having lost around -5% yesterday. US equity indexes remain moderately weak, with the sp' having hit 2047.. along with VIX 19.05. USD continues to build very strong gains of 1.4% in the DXY 99.20s.. and that is pressuring most asset classes... Gold -$19, Silver -2.8%, with Oil -2.1% in the $36s. Clearly, the weakness is stronger than expected. With the lower hourly bollinger rising as it is.. the 2025/20 gap zone looks out of range. Even if hit... an opex weekly close around 2050 would remain very natural. Regardless of the current weakness... the Monday low of 1993 looks extremely secure. 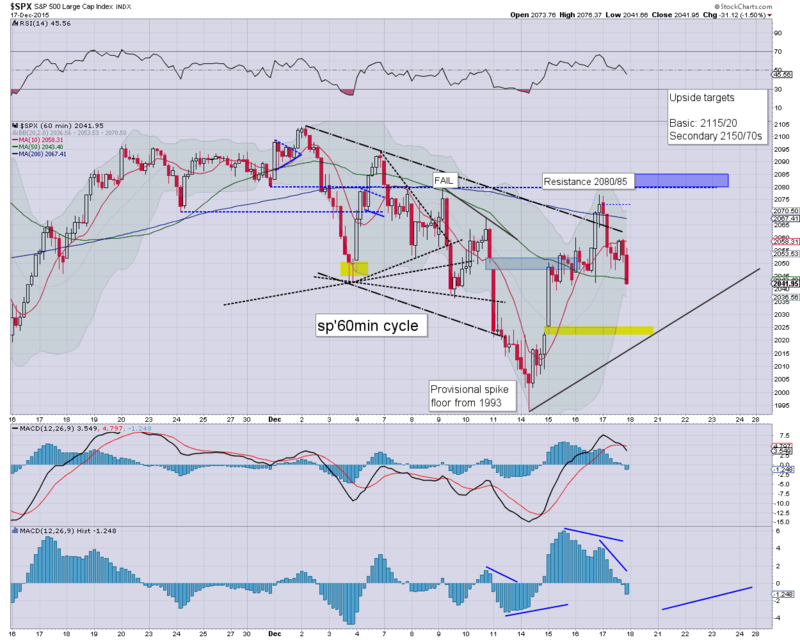 US equity indexes remain moderately weak, with a low so far of sp'2055. All things considered, a latter day recovery looks probable, with a viable fourth consecutive net daily gain, somewhere in the 2075/80 zone. 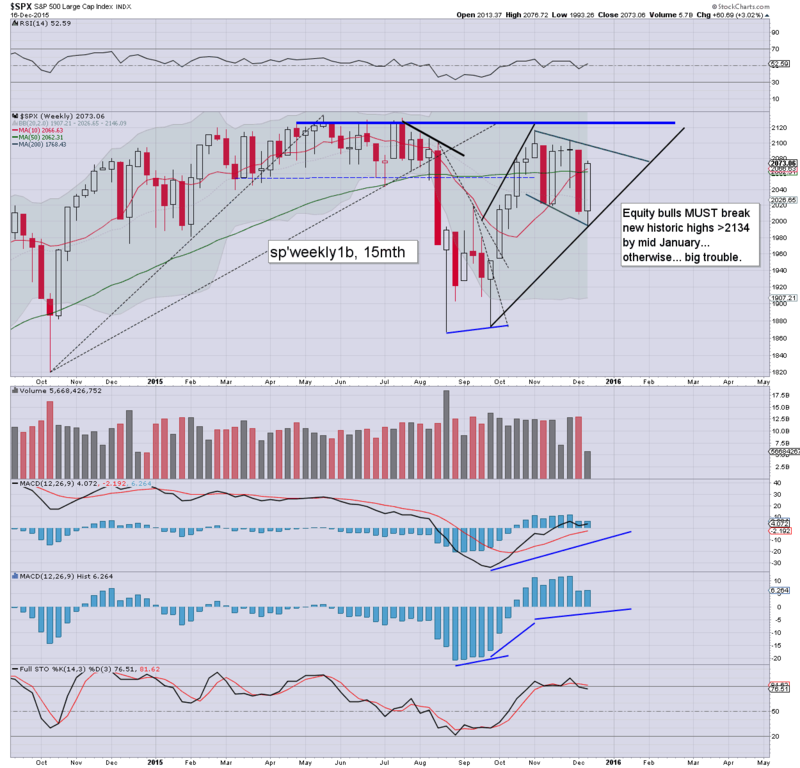 With quad-opex tomorrow... the 2100s look out of range until next week. *it is notable that despite the market being lower by around -0.8%.. the VIX is barely positive. No doubt, this is because with rates hiked... uncertainty is largely removed.. and this favours equity bulls into early 2016. VIX did see an opening reversal candle though... at best... 20.00/20.50. We're a clear 2% above the Tuesday gap zone.. and frankly.. it doesn't look within range any more. Not exactly enthralling, but it sure ain't cold, as the UK is having one of the warmest Decembers ever. That is no doubt going to annoy some of the retailers trying to sell winter clothing, along with energy companies suffering from reduced demand. 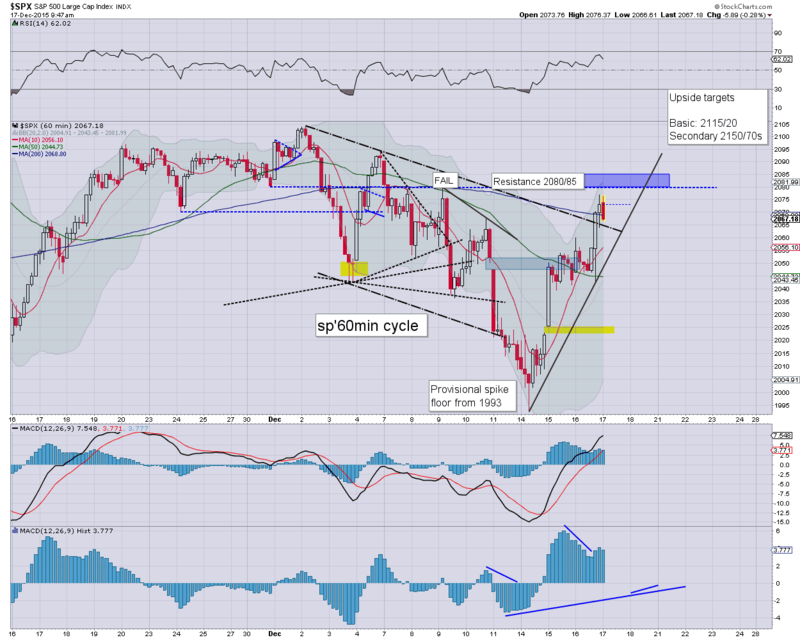 US equities open with some weak chop, as the market consolidates the post-FOMC gains. USD is seeing a powerful gain of 1.1% in the DXY 98.90s. 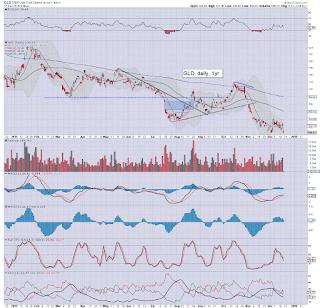 Metals have resumed the broader downward trend, Gold -$21, with Silver -3.0%. Oil remains broadly weak, -0.9%. *higher rates are not bullish for the precious metals... and that sure won't help the related mining stocks. 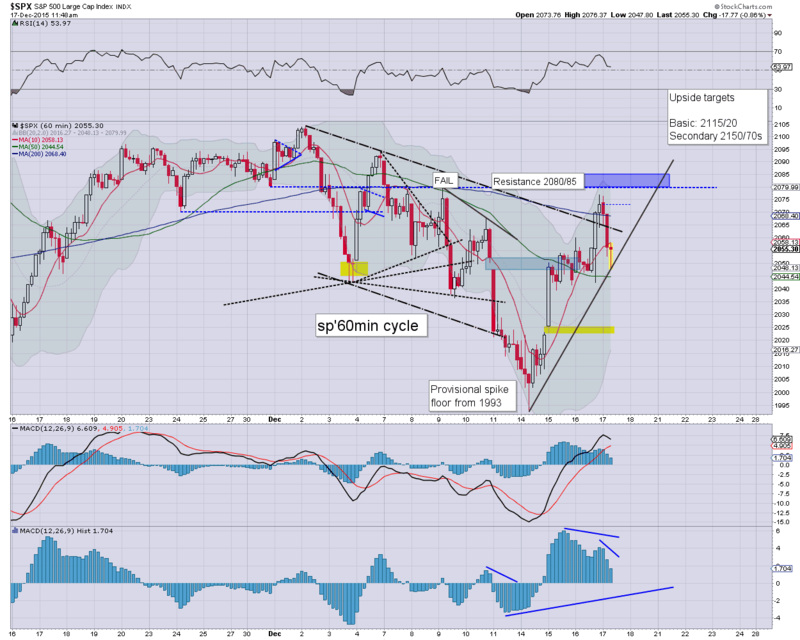 This time last week the chatter was increasingly about a a QUAD-OPEX crash to the 1900s. Some even touted the 1800s. Where are the same people now? Ohh yeah... mostly in their little caves.... probably the same places where the gold bugs reside. For the remaining 10 trading days of the year... we'll no doubt see a lot of chop... but prices should be broadly leaning on the upside. Good morning. US equity futures are moderately higher, sp +4pts, we're set to open at 2077. There is clear resistance in the 2080/85 zone, but it now seems highly probable the market will be trading around 2115/20 by Christmas eve. By my count, we have 10 trading days left of 2015. A couple of them will likely be net daily declines... but broadly... the market looks set for a year end close... somewhere in the 2125/2150 zone. Japan: +1.6% in the 19300s. With the FOMC deciding to change rates for the first time in exactly seven years, it is a farewell to ZIRP. Clearly though, even if rates are raised 3-5 times per year, interest rates are going to remain broadly low for a very long time. Welcome to the new era of LIRP... low interest rate policy. 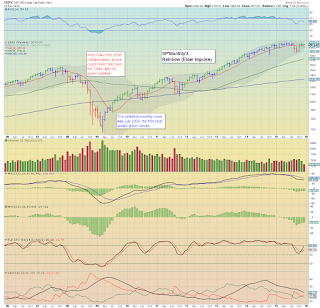 *note the third consecutive green candle on the monthly cycle... back above the 10MA (2055). 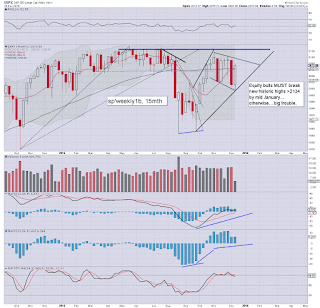 Suffice to add, the weekly index candles are looking rather powerful. As I will keep saying though.. what is now mission critical to the equity bulls.. new historic highs MUST be achieved in the current multi-week up cycle. 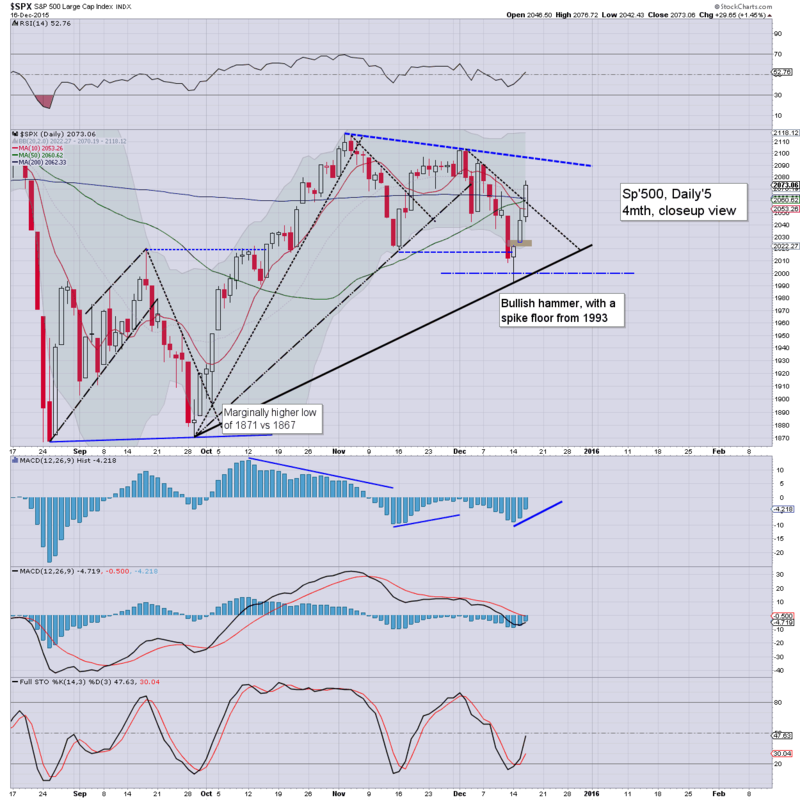 The next 3-5 weeks will be very important for how 2016 trades. Thursday will see the usual weekly jobs, phil' fed, current acc', leading indicators. Considering the weak mindedness of the Fed to raise rates in spring/early summer, I was indeed a little surprised they went for 25bps.. rather than follow the ECB and move in tenths of a percent. Those who long touted that rates would NEVER rise will no doubt change their spiel to a 'its one and done'. When rates are raised a second time - probably March/April, what will they say then? Oh yeah... 'two and done'. Some are unable to adapt. It sure was an interesting day, but I'm already looking forward to some rest this weekend. A clear break of the downward trend/resistance (sp'2065), with a close comfortably in the 2070s. 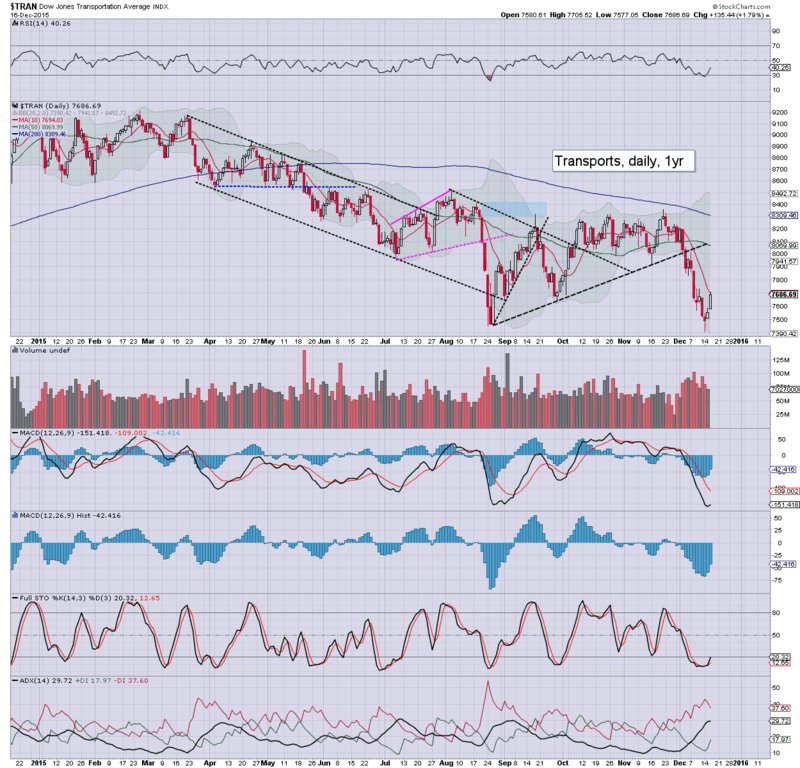 Even the Transports is pushing to break the short term downward trend... but it sure is a long way just to test the 200dma in the 8300s.